Next Series of DOCTOR WHO Confirmed at Last! Well, the BBC cannot be bothered, so Steven Moffat had to do it himself — announce that series eight of DOCTOR WHO “really, definitely, honestly is” happening, that is! Apparently it’s part of the Beeb’s ongoing policy of benign neglect toward its No. 1 cash cow in this, DOCTOR WHO’s 50th anniversary year, but nobody in the PR department could be bothered to even issue a press release announcing the renewal, let alone pull together the usual press fanfare. 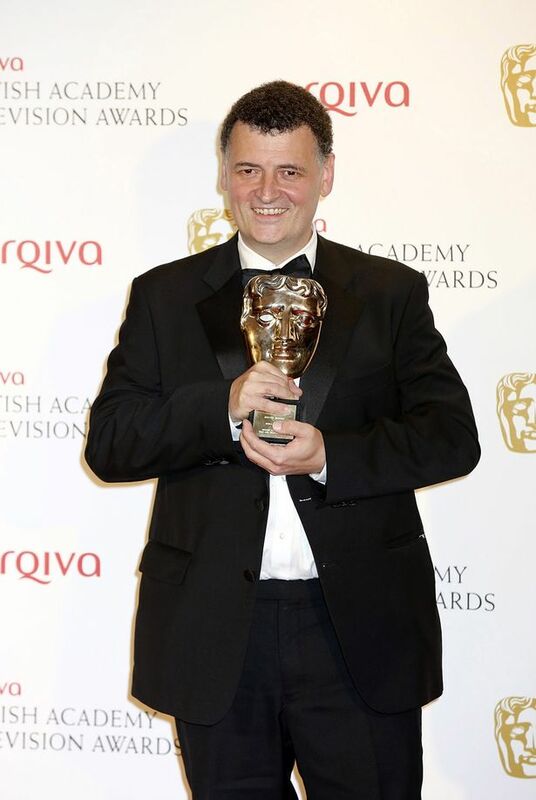 Which is why, at last night’s BAFTA gala, Moffat said he was surprised to discover that people think series is still awaiting approval. The Grand Moff had no premiere date, of course, and production is still a ways off, what with Matt Smith busy with a Hollywood movie and filming of the Christmas special still to be done. But it’s great news, nonetheless! This entry was posted in Behind the Scenes, Cult TV, Renewal and tagged 11th Doctor, BAFTA, BBC, Doctor Who, Matt Smith, Series 8, Steven Moffat. Bookmark the permalink. Zombie School Is In Session!